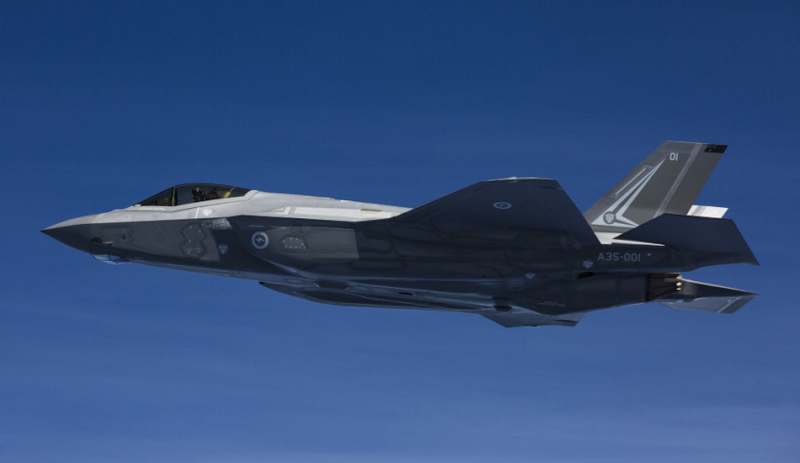 F-35A Lightning II Joint Strike Fighter A35-001 during the first trans-Pacific flight from Luke Air Force Base, USA to RAAF Base Amberley in Australia. Australia’s next lot of eight F-35A Joint Strike Fighters could be delivered early, according to Lockheed Martin Aeronautics’ director of F-35 international business development Steve Over. Over told Australian media that although the contract commitment is to deliver the first of the eight aircraft (AU-3 through to 10) by the first quarter of 2018, there is a chance it may be earlier. "Talking to our program people, there is a chance we might actually deliver the first of those airplanes late this year," said Over. Australia is currently expecting to have its first two F-35s delivered permanently in December 2018. Over also revealed the company is expecting the aggregate negotiated price of US$94.6 million for an F-35 built under low-rate initial production (LRIP) lot 10 to be "significantly below" that price, when the final LRIP 11 contracts are signed at year's end. The director also explained that, along with the current eight aircraft being built under lot 10, another eight Australian aircraft will be built under lot 11 and will be delivered in 2019. And with the new aircraft, comes a need for more pilots, for which a training process is underway. Australia currently has four certified pilots and two more are already in training at the Luke Air Force Base in Arizona.